According to National Water Supply and Drainage Board (NWS&DB) estimates, the damage caused to the board by the recent oil leakage to the Kelani river is over Rs. 170 million. The Coca Cola Company has already expressed its willingness to pay the full damage after holding further discussions with the National Water Supply and Drainage Board, sources said. According to the NWS&DB sources, the leakage of oil into the Kelani river was discovered on August 17. Water supply to several parts of the country including Colombo city limits , Kotte, Sri Jayawardanapura, Dehiwala and Mount Lavinia had to be suspended. The NWS&DB was unable to distribute 200,000 cubic meters of water to consumers due to the contamination. The board had to clean up 39 water filters, tanks etc. using an additional number of workers and additional power (electricity). The cost on such services had been added to the total damage calculation. 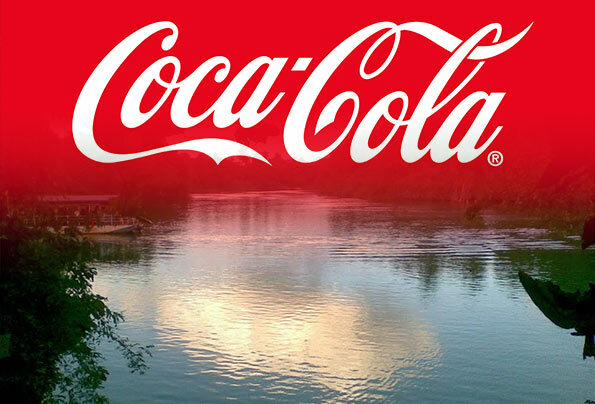 Meanwhile, Coca Cola Company sources said that the Central Environment Authority (CEA), in a letter dated August 31, 2015 has conditionally restored the Environmental Protection License (EPL) subject to implementation of the recommendations made by the authorities. The company authorities are cooperating with all relevant state authorities on the next steps. The company authorities said that they sincerely regret the grave inconvenience caused as a result of the oil spill and have already put in place several measures to prevent a recurrence . Meanwhile,Government Medical Officers Association (GMOA) spokesman Dr. Naveen Soysa said the adequate number of specialists/professionals are not available in Sri Lanka to assist investigations into hazardous incidents such as the oil leakage, which recently contaminated the Kelani River water. “Toxicology specialists are required to successfully probe the incident, where water was contaminated by oil. The country’s free health service lacked specialists in toxicology and many other specialized fields. Legal action should be taken against the responsible company after conducting a credible investigation regardless of the size or nature of the company, “he said. National Water Supply & Drainage Board General Manager Ranjith Balasuriya assured the purity of water supplied to the consumers by the NWS&DB. “The water is treated according to the standards we always followed,” he said. “The water treatment plant at Ambatale, has completed the cleaning operations of the system. The decisions pertaining to the issue will be taken after the NWS&DB receives the test results from India. Contaminated water samples had already been sent to India for scientific testing,” he said. CEA sources said that it has sent the sample of oil contaminated water to India for a complete test. The results of the test will confirm the progress of the Environmental Protection License (EPL). The officials also inspected the manufacturing plant twice and they have reported that the company has taken measures to repair the leak. The Environmental Organizations said that approximately 400,000 citizens were affected due to oil contamination of the Kelani river on August 17. The enviornmental impact need to be evaluated in relation to the contaminents. Further the operation of the Coca Cola plant need to be evaluated from an independent agency before they are allowed to continue with its operations., further the environmental agency should given the right to inspect its operation. what will the consumer get 0 nothing we consumers had to use poluted water and buy bottled water for drinking. who will pay for the after effects to health problems caused by this blunder of this company ? Why is it that the poor man is always hit, is it because his voice is never wanted to be heard by these Multi national companies who only want to make profits. I think sterner punishment is required.